Red flags – These include dangerous conditions such as cancer, infection, fracture, cauda equina syndrome (which is a severe neurological condition where bowel and bladder function is impaired). These conditions generally require emergency care due to the life-threatening and/or surgical potential. Nerve Root compression – These conditions include pinching of the nerve roots, most frequently from herniated disks. This category can include spinal stenosis (SS) but if it’s severe enough where the spinal cord is compromised (more commonly in the neck), SS might then be placed in the 1st of the 3 categories described above. 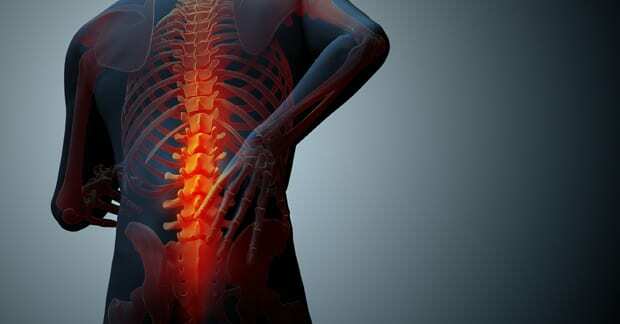 The most common category is mechanical back pain of which “facet syndrome” is the most common condition. This is the classic patient who over did it (“The Weekend Warrior”) and can hardly get out of bed the next day. These conditions can include tearing or stretching of the capsule surrounding the facet joint due to performing too many bending, lifting, or twisting-related activities. The back pain is usually localized to the area of injury but can radiate down into the buttocks or back of the thigh and can be mild to very severe.